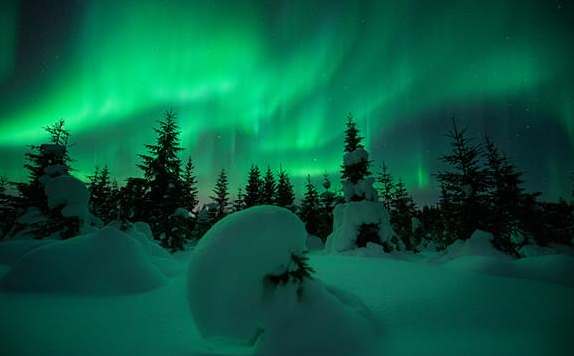 During the tours our main focus will be on capturing the elusive but strikingly beautiful Aurora Borealis a.k.a. 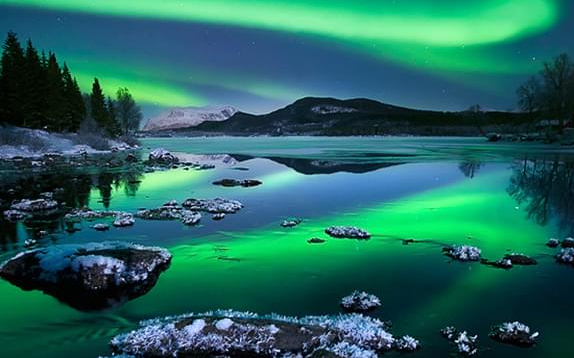 Northern Lights. 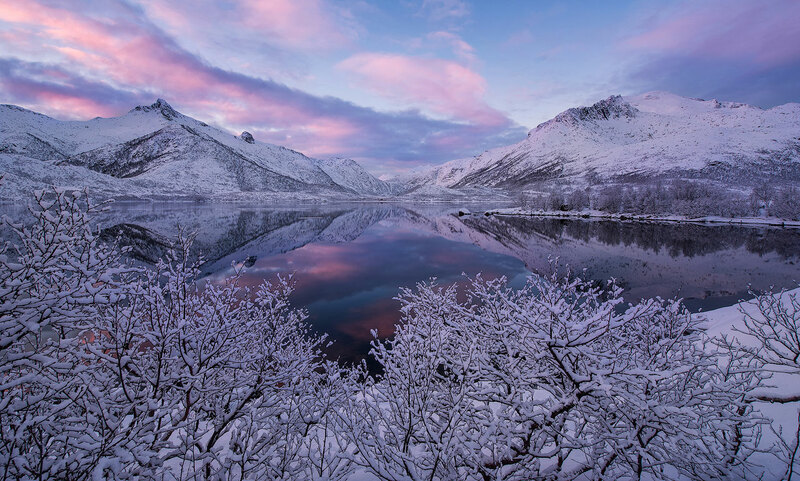 No winter tour to Lofoten would be complete without bringing home images and experiencing the greatest magic show on Earth. 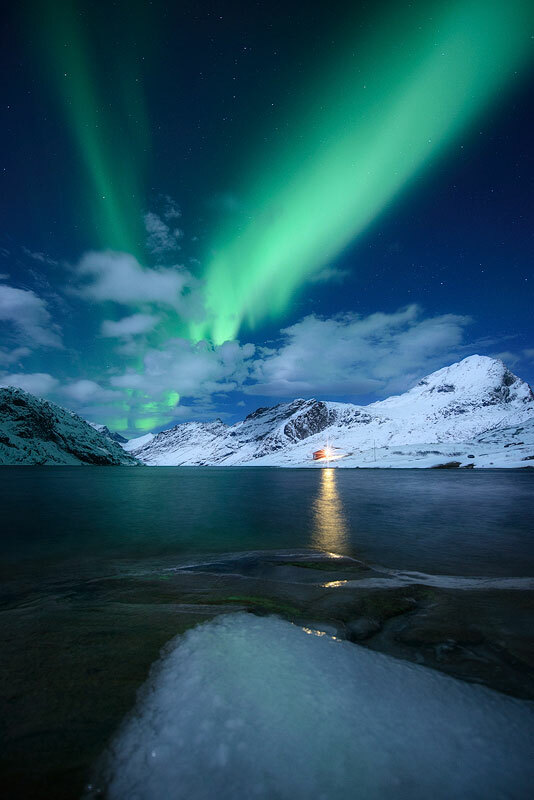 The Aurora Borealis is visible, weather permitting, in Lofoten from September to April. 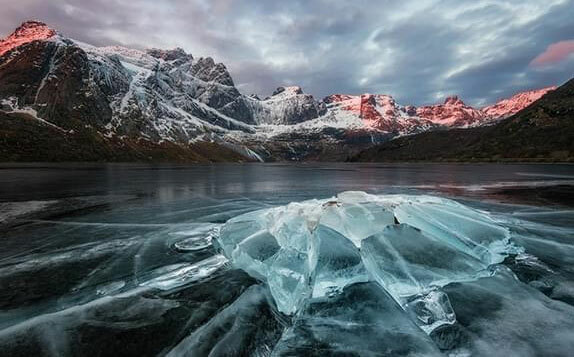 Our second focus is capturing unique images of ice/winter, the breathtakingly beautiful and world renowned mountains, colorful fjords and pristine beaches, as well as the picturesque and authentic red Lofoten cabins. Photographic opportunities are present around every single corner. We meet up at Evenes (EVE), get settled in our spacious minivans and start our Arctic adventure. Whilst driving southwest towards the Lofoten islands, we will all get to know eachother and discuss our itinerary and the exciting days ahead. If weather and time permits it, we’ll shoot sunset and Aurora Borealis as soon as arriving at our basecamp. 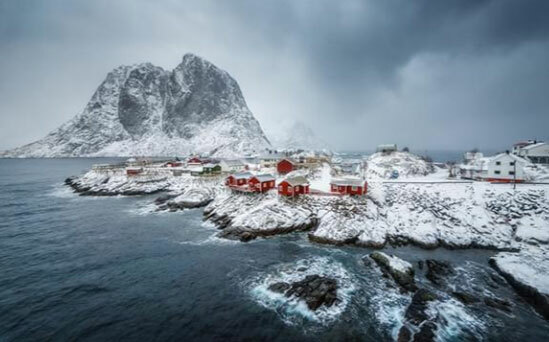 Our minivans leave the basecamp bright and early and we will explore the historic village of Reine, quite possibly Lofoten’s most prized jewel. We will photograph all the iconic viewpoints, traditional fisherman cabins, jagged granite mountains, colorful fjords and lots more. The surrounding area and islands are extremely picturesque and we will spend the entire days exploring new angles and perspectives. 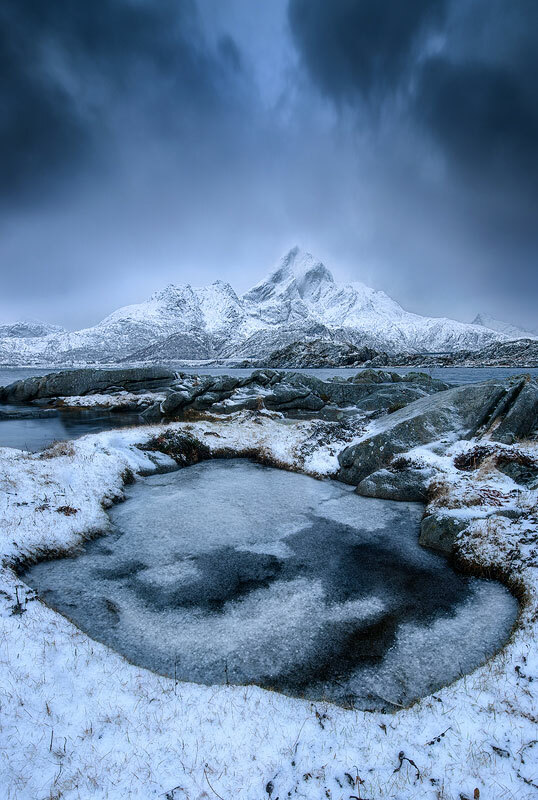 Highlights include locations such as Flakstad (Skagsanden), Fredvang, Nusfjord, Å, Ramberg, Selfjord and more. This area is real close to all the world renowned beaches such as Utakleiv, Haukland, Unstad and Vik. All of which are ideal in regards to Auroral activity. We will be chasing the unique Arctic light and explore the before mentioned beaches, as well as Ballstad, Vareid, Myrland and Valberg. After the breakfast, we will transport you to Evenes Airport (EVE) in due time for your flight home, with the wonderful memories and images. Food, alcohol, snacks and beverages.